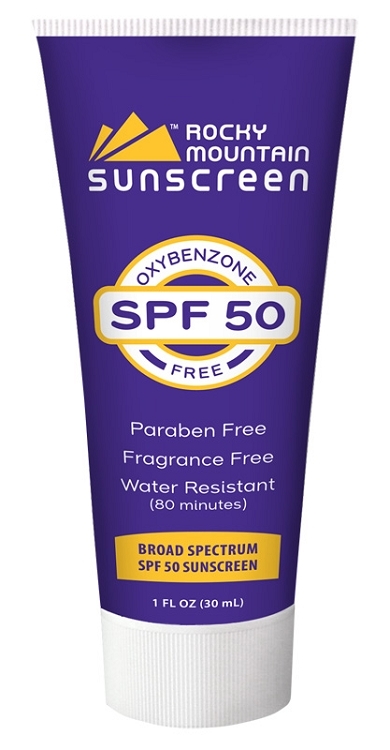 This wonderful sunscreen is greaseless, waterproof, PABA and fragrance free and hypoallergenic. The superior bonding base formula works by interlocking with the skin and won't clog the pores but will allow the skin to breathe and sweat. A wonderful "Rocky Mountain High" product. SPF 30+. 1 oz. pocket/purse tube.